This past summer I did a post titled 4 Words I Don’t Like. Somehow I neglected to add the worst offender and that is the phrase “you should”. I have discovered that the absolute worst advice is always starts with “you should”. People who use statements beginning with “you should” tend to be poor listeners and often dish out advice not as a way to help others but as a way to demonstrate they have superior knowledge and to get credit when the advice is executed. When someone tells us what we should be doing or paying attention to, we can become defensive, because implied in the statement is that it is something we aren’t currently doing. Why aren’t you currently doing what you should be doing? I am FAR LESS receptive to advice when someone phrases it as something I should be doing. As individuals if we sense we are being pushed into doing something that isn’t of our own freewill, we will sometimes reject even excellent advice. This is called counterwill. 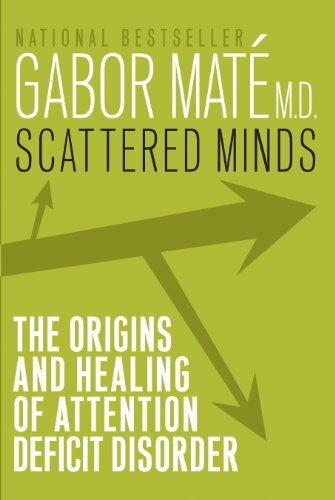 I was first exposed to the term counterwill in the excellent book Scattered Minds by Dr. Gabor Mate. So how do you give advice without telling someone what they should be doing? The first thing to be aware of is that nobody knows more about what they should be doing that the individual being told what they should be doing. So it is arrogant to believe you know more than them. You might, but you can’t assume it. Ask questions in a way that the person receiving the advice goes into problem solving mode. An ideal solution is if the person thinks they discovered the solution to their own problem. I love using the word curious. Learn more about the problem. Many times you discover they’ve already considered what you are thinking or your solution isn’t ideal. SUE: I want to be a chef. I think it would a lot of fun. TOM: You should read Kitchen Confidential by Anthony Bourdain. The hours and hard work it takes to be a chef is tremendous. This is bad, because Tom is assuming Sue hasn’t read his book recommendation and is unaware of the effort it takes to be a restaurant chef. Tom is also implying he knows more than Sue about becoming a chef, which could in turn make Sue defensive and less likely to pursue reading that book. TOM: What type of restaurant interests you most? SUE: Something fancy. Maybe in New York City or San Francisco. TOM: Do you have any chef role models? SUE: I like a few of the ones on TV. Bobby Flay and the ones that compete on Iron Chef. TOM: How about Anthony Bourdain? SUE: That’s right. He was a chef before he did those travel shows. TOM: He wrote a book about his experiences as a New York City chef. SUE: He did? What was the title? TOM: Kitchen Confidential. Really good book. I developed a greater respect for the level of work it takes to be a top chef. SUE: Excellent. I am going to check that book out. This is much better. Sue arrived at the decision to read Kitchen Confidential on her own. The questions also helped Tom learn more about Sue to determine if his advice was even valid. Had Sue said she wanted to open a sandwich shop or a bakery in a small town then the book recommendation wouldn’t have been relevant. 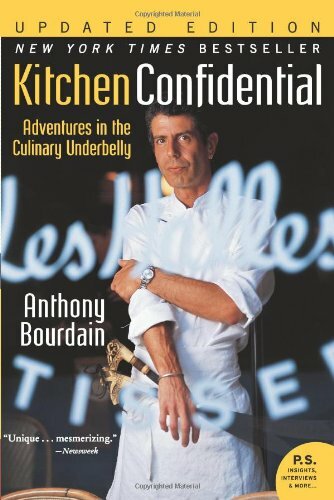 Kitchen Confidential Updated Edition: Adventures in the Culinary Underbelly (P.S.) by Anthony Bourdain. I would say that I’ve heard the above advice on average once a month for 15 years. It baffles me that people actually think that I haven’t thought about it ever and that nobody has ever suggested the same thing. 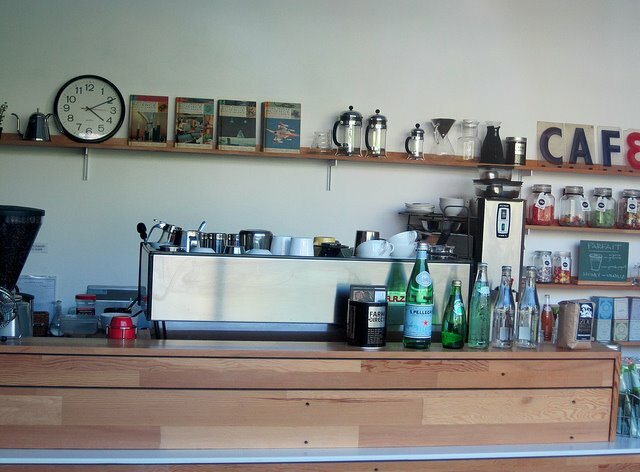 For the record, I have zero desire to ever open a coffee shop. I do find it bizarre that whenever someone develops an interest in some hobby, the immediate advice of everyone around them is to start a business monetizing that hobby. Having a hobby and running a business are two separate things. I love coffee, but the thought of leases, payroll, licenses, training employees and dealing with vendors holds no appeal to me. I’ll stick to running INeedCoffee, which has averaged thousands of visitors every day now for over 15 years. People want to solve their own problems. They want to own their successes. They want to choose their own path. Ask questions. Learn from them. Telling them what they should do is not a way to help someone. So true. I caught myself doing this yesterday and I felt so bad! I re-read my email and I really sounded like a jerk, especially when it turned out the person I emailed actually did know something about the subject. I think this is a really common problem with IT, it’s common to assume the user is not very knowledgable. Sometimes we are wrong. You’ve essentially captured the essence of consultative sales 101. What’s interesting is that the buyer-seller pendulum has started swinging back in the other direction. Now buyers fully expect sellers to come with a list of recommendations & references. They have no more patience to play 20 questions. In some cultures giving a grown man unasked for advice is a serious insult because it implies he is incapable of managing his own affairs. Nine year olds are another story, it’s okay to tell them what to do. seriously, some really good points here. Amen! It’s frustrating when people immediately tell you what you “should” be doing when they haven’t even taken the time to understand your situation or point of view. This post serves as a helpful reminder to avoid doing that to others as well. “Should” is a “banned” word in my home, or as close to a banned word as we get. Using it sets off communication alarm bells. “You should take out the trash” reaches a conclusion and is just shy of a command. Compare that to “the trash needs taking out as it’s full” – which then can turn into a conversation about “I’m too busy to do it but can do it later” or “I disagree it’s too full.” Should tends to enforce a de facto hierarchy – sometimes that is appropriate, but in friendly conversations or partnership relationships it tends toward coercion. @Joe – I love how you point out that using the word should reaches a conclusion and is just shy of a command. Brilliantly said.